#THEKICKBACKLA Presented by CORE WATER! THE KICKBACK LA SUMMER SERIES IS BACK! Sunday June 2nd 3-7pm in HOLLYWOOD! 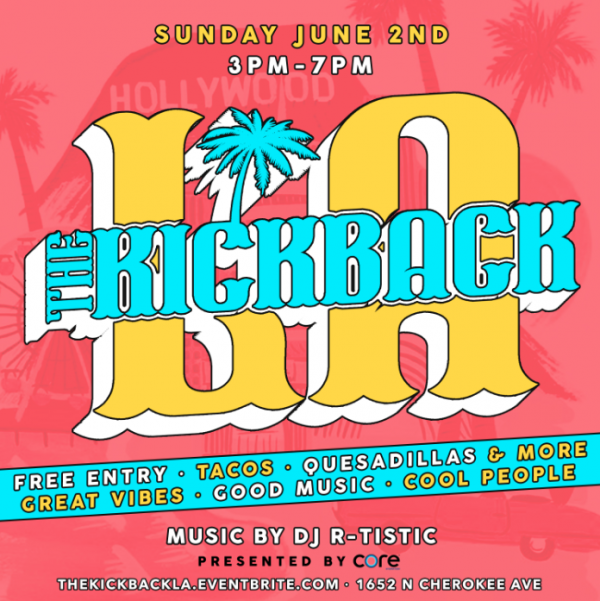 THE KICKBACK LA is a high energy summer day party series complete with w/ Big Drinks, Great Vibes, Good Music and Cool People! So grab your crew and come chill with us…KickBack Style!